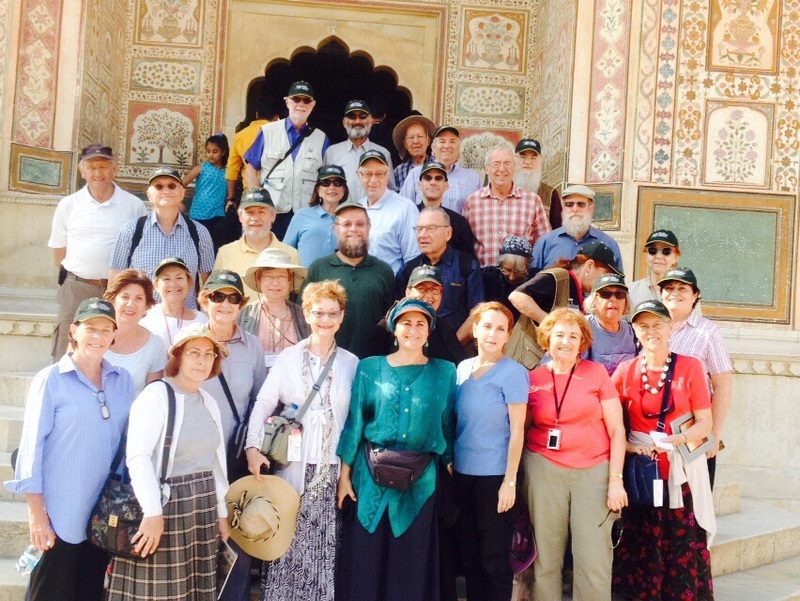 We just returned from a fabulous trip with India Kosher Travel, run by Moshe Goldstein. From the city of beautiful lakes, Udaipur– to the blue city of Jodhpur, —to spending a meaningful Shabbos in Pushkar and then riding camels there—to the pink city and elephants of Jaipur to the magnificent Taj Mahal in Agra–to riding the rickshaws through the bazaar in Delhi–to the old shuls and the backwater boat trip in Cochin–to the shuls and famous sights in Mumbai, we had a ball. The sights, people, fun-filled and interesting activities, the knowledgeable guides,the gorgeous hotels were all “over the top”! The trip was well-planned; the group of people with whom we traveled was super; and Rona and Aaron were great! We have only the best things to say about this trip. As we have traveled extensively, we have to admit that this trip was one of our favorites; and we highly recommend it! The trip was wonderful and I am very happy that we joined the group so spontaneously at the last moment. Thank you for helping to make that happen. India is a special magical place, filled with beautiful colors and wonderful people. I also thought that the organization of places to go and sites to see was well thought out. Magda and I had a good time in India: We have seen interesting things, the guides were good, the food and the hotels were good. My trip highlight was the Sabbath with Rav Shimi Goldstein in Pushkar. First of all I want to thank you and all your people for making the tour a success. All your efforts helped to make it run smoothly. The efforts and logistics of getting food to us is a fine example. The food was great and I was never hungry. I learned a lot about India and the history and social aspects,saw spectacular forts and palaces and their architecture, and so much of everyday life from the bus window. To me it was a memorable experience. The guides were very good and knowledgeable. I think the highlight for me was the Shabbat in Pushkar. To be in a spiritual Hindu atmosphere with our eastern European customs was surreal. I tried to explain this to your brother, but it was difficult to make him understand what I was saying. The food at Chabad in Pushkar was excellent and I still find it hard to believe that they were able to provide so much good food in that isolated town! 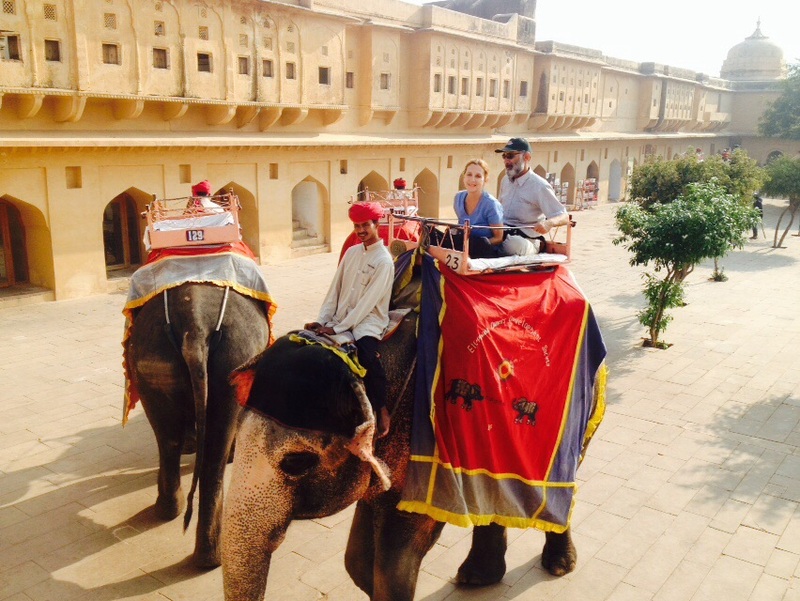 What can I share about my trip to India – exotic, noisy, grace, remarkable beauty. 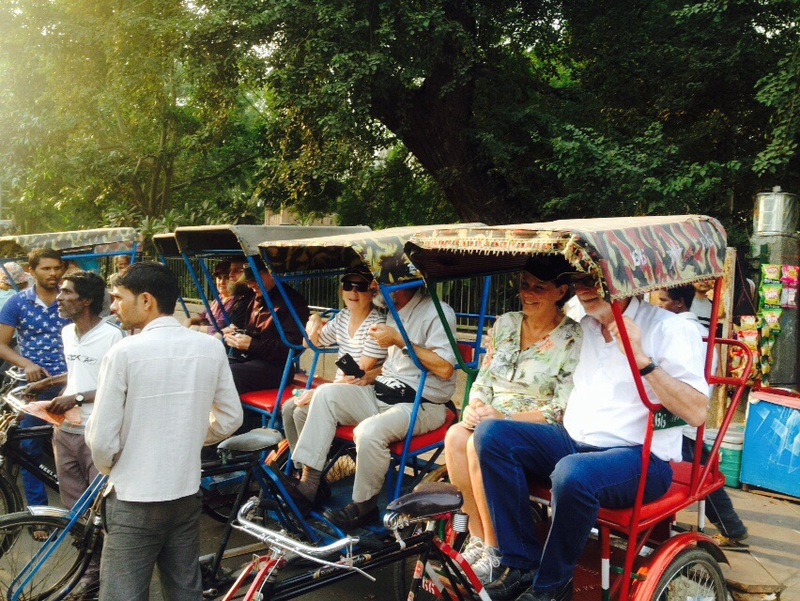 What else should you hear about my trip to India – the guided tours? Most breathtaking beauty of the world I am sure. But do I prefer Camel – bumps bounding galore? Bless’d goats, lotus blooms – cats? Not even Siamese! Demand WE make a Blessing, even as we eat. Create blends, like tea, spices, exist in diversity? Home after all; absorbed, , thoughtful, and blessedly. in early November on a plane we ​did fly To start our Indian adventure in sunny Mumbai. Although we were told our e-visas were fine We ended up standing in a slow-moving line. When we began our tour by seeing a temple. Intricate designs, but not excessive. A boat ride on Lake Pichola to the isle of pleasure Revealed to us the Maharana’s hidden treasure. And then to a garden to see fountains and flowers The lush vegetation forming beautiful bowers. So let’s say the brushstrokes were very very small. We went to the temple that belongs to the Jains The impression of masses of carved marble still remains. The Bishnoi village we visited with no opprobrium and watched the preparation of tea with opium. isited the cenotaph Jaswant Thada of marble We saw plenty of birds but heard none of them warble. At Mehrangarh ​Fort ​we saw art and architecture How they conceived of the design, no one can conjecture. Later we saw the City Clock Tower But never heard it chime the hour. 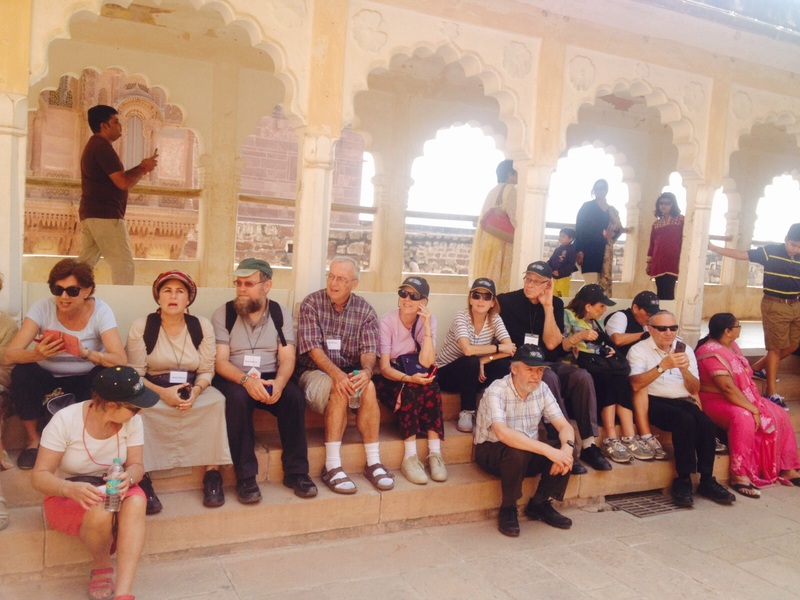 Expecting at Chabad to see “Chaya Mushka” We set off early to the city of Pushkar. 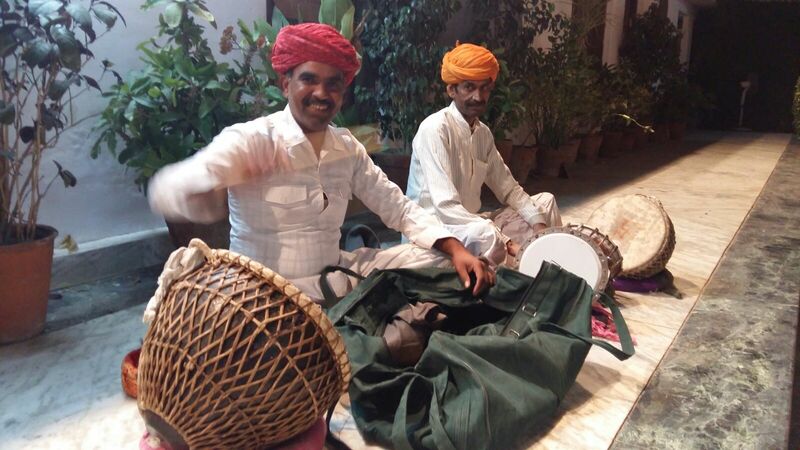 Through the streets we walked as the crowds did swarm To the Pushkar Palace, our home, with its colonial charm. Shabbat at Chabad was a delightful treat Even though we were limited as to what we could eat. ​And Motzei Shabbat the Rajastani Dancers To reviving our spirits had all of the answers. At breakfast we could watch the faithful bathing A colorful memory we’ll all be saving. And then to the camel fair we went ​And saw merchants who had set up their tents. Riding on camels was fun, holding on an art When riding directly on the camel or on a cart. Was not easy with all of the motorcycles and all of the noise. But after lunch at Chabad it was time to leave and so on to Jaipur, our bus did weave. ​​Early in the morning we were all outside Lined up to embark on an elephant ride. The views from the Amber Fort were spectacular The inlaid room was “awesome”- to use the vernacular. We saw the polishing of jewels and the block-printing of fabric and the presentation of carpets- abra-cadabric! To the outdoor observatory Jantar Mantar next we went To see the collection of data, heaven-sent. And then to the City Palace where the Indian flag soars To see among others, the unique peacock doors! And then we went out as my cousin Mollie would To see a movie at Raj Mandir​ that was the epitome of Bollywood! Early in the morning with no strollers We saw the women visiting the “Monkey Temple,” Galtaji, dressed in vivid colors. ​And then to a high point in our saga, We drove on to visit the special city of Agra. The Taj Mahal took our breath away For the maximum time we wanted to stay. This special day, the 17th of November Is one that we will always remember. The Agra Fort was a rich rich red Within it lives of intrigue were led. With Shah Jahan unable to leave the place ​And the Taj Mahal there, before him to gaze. To a rickshaw ride in Delhi we were treated To see gorgeous fabrics, trimmings, and jewels which we were seated. After dinner at Chabad, we were longing for our bedding But at our hotel we were serenaded by a wedding. In the morning we woke early and saw the government buildings at the Gate of India we saw Sikh soldiers drilling. We saw the old synagogue at Chendamangalam And Chinese fishing nets- what a lot of fun. Shabbat was restful, shared with friends We talked, sang, and sang to the very end. And then to Jew-town we made our way To see the synagogue, to end our day. On Sunday we set out to Venbenad Lake A cruise on the backwaters we were to take. We walked on paths, lush and green A tropical landscape was the scene. And if someone asks you about a Kathakali dancer After the performance, you’ll know the answer. After a beautiful sunrise, one we were stunned by We landed and started our visit in Mumbai.First to a laundry, then to a park and to visit 3 synagogues before it got dark. We ate at Chabad, then amazing to tell Some ended up at the Taj Mahal Hotel. I don’t know where and I don’t know when But I hope we all will meet again!